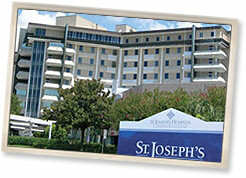 St. Joseph’s Hospital, an affiliate of BayCare Health Systems, is a 497-bed hospital in Tampa, Florida. The hospital was in the process of adding 300 more beds to their Medical Arts building, as well as constructing a new parking garage. High levels of traffic were only made worse due to construction congestion. Necessary employee parking left visitor parking with a limited 300 spaces. Finally, poor communication between the current parking staff and their managers regarding the ever-changing parking situation made them incapable of providing adequate direction to visitors. St. Joseph’s knew that help was needed to handle the critical parking and transportation needs during the construction phase and to develop a strategy for their future as a larger facility. 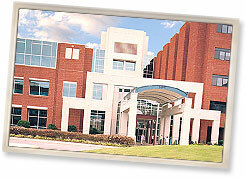 Tuomey Regional Medical Center is a 266-bed facility located in Sumter, South Carolina. At the time, their sole parking options included surface parking and a three-story garage, neither of which provided a great deal of convenience to patients or visitors. The distance between the garage and hospital entrances was great, and directional signage was minimal. In addition, many patients visiting the hospital were affected by limited mobility, making the process of parking even more difficult. Low customer satisfaction levels with regard to their current parking situation as well as a quickly growing community signaled to hospital administrators that a change was needed. 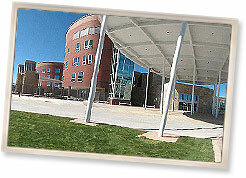 Memorial Hospital, a large, 477-bed healthcare facility nestled in Colorado Springs, Colorado, is the region’s leading healthcare provider. One of the city’s largest employers, Memorial prides themselves on a “commitment to excellence in everything they do.” However, their present parking operation, managed by a national operator, was not up to the hospital’s standards of excellence. Continued disappointments were largely due to poor customer service and inadequate attention to repeat problems, such as high levels of traffic congestion. Vehicle claims were excessive and also poorly handled. Memorial Hospital knew a change was not only necessary, but also urgent.